Download Web2Pics From App Store Now. Web2Pics is a universal iOS app that allows you to take full length and visible length screenshots of web pages when you are browsing. 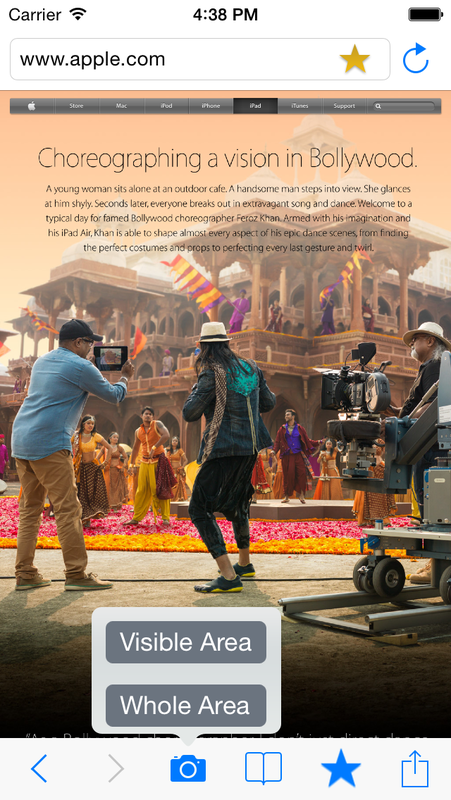 What it can capture is an entire webpage including those invisible contents rather than only the current screen content. User can add annotation on captured content with help of annotation tool. Universal iOS app that works on iPhone, iPad, or iPod touch. Take visible area screenshots of webpages. Take full length screenshots of entire webpages. Bookmark the browsed web pages. Manage history of visited web pages. hare the captured screenshot by Facebook, Twitter, Email, Print, Drive, Drop box, Evernote. So, you can capture the visible part of the view, a selected area, or the entire page. 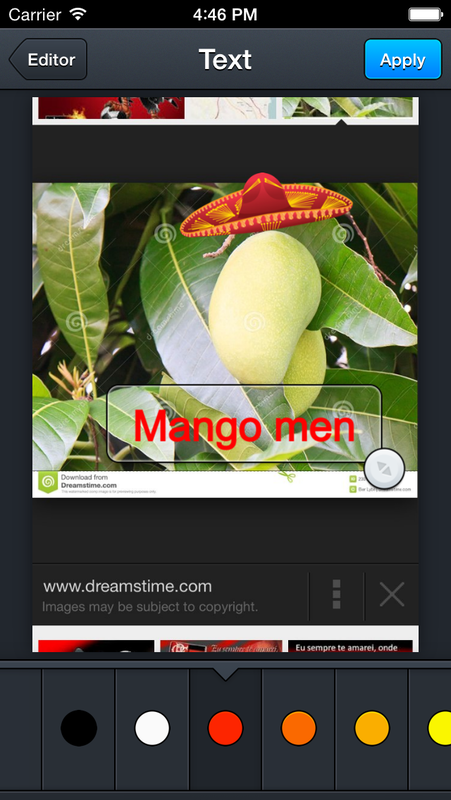 In the next step, Web2Pics: Capture & Annotate for IOS puts at your disposal a few editing tools. You can crop a portion of the screenshot, draw a rectangle, ellipse, arrow, line or free line, apply blur effect, insert text, as well as use a color picker. When all the necessary modifications have been made, simply tap the "Apply" button. Helping our partners deliver a perfect user experience is our first priority. That's why you get full control over the appearance of the Annotation Tool to make it seamlessly match Web2Pics - choose the colors, set the thickness, choose your toolset and apply on pics. 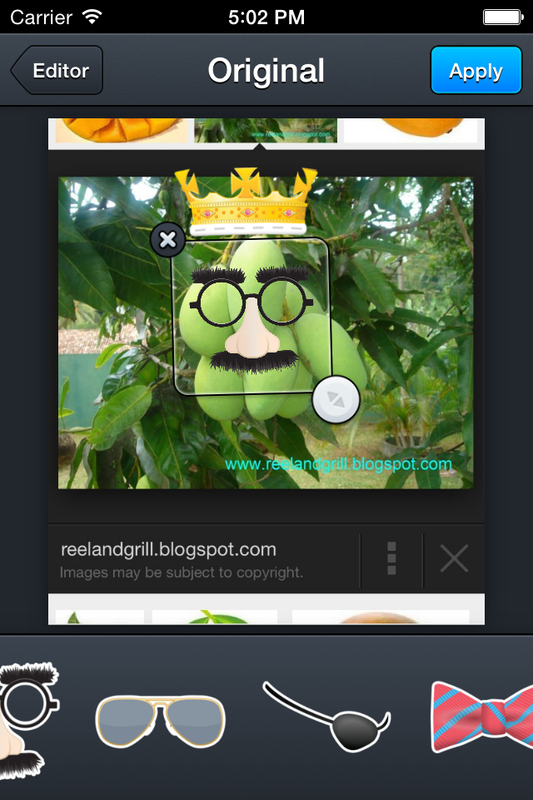 After your screenshot have been completed, Web2Pics enables you to share your screenshot directly from the app. You can either email the screenshot to any account worldwide, or export to your linked Dropbox, upload to google Drive, create a note for Evernote, sync to iCloud or directly send to Air Print, post to facebook, share on twitter, save to camera roll and many more options. Who We Are AuditBricks team are specialists in creating Consumer Apps, Enterprise Apps and providing Services that help improve efficiency and productivity in the workplace. We strive to ensure that our clients flourish, whether they function in an office, or on a construction site, and support them in their move into the mobile workspace. Our mission at AuditBricks is simple: Use technology in innovative ways to improve the productivity of you and your business. Changing how people interact with technology in the workplace is extremely important to us; through our Consumer Apps and tailored solutions, we continue to contribute to this happening. 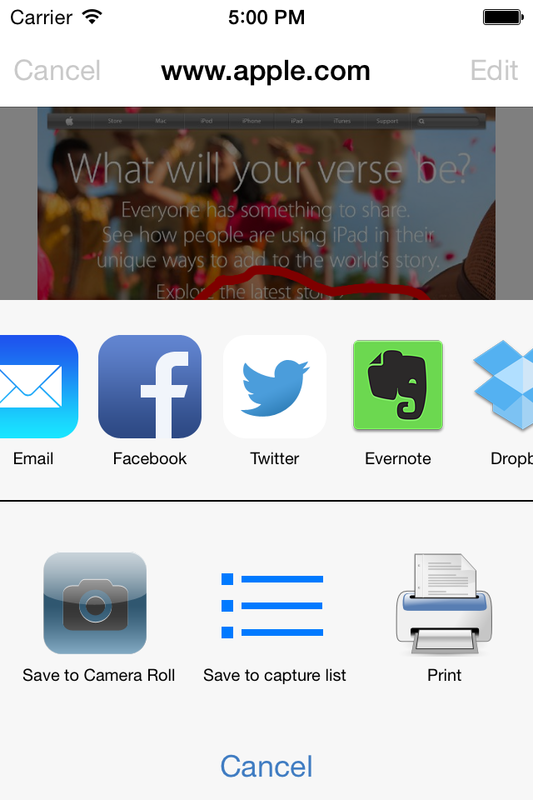 Using one of our range of great productivity apps will help make you more efficient. Our automated technology will ensure that you will never need a pen and paper again to take notes.